Princeton alumnus Victor Prato ’15 was an engineering officer on his first week as leader of his platoon in Kandahar, Afghanistan when a suicide bomber struck his convoy during a routine patrol on November 13th. Taliban insurgents claimed responsibility for the attack. The bomber, carrying a vehicle-borne improvised explosive device, left Prato and three other US soldiers seriously wounded. The attack took place near Kandahar Air Field, a major US base in Afghanistan. Prato and members of his platoon were subsequently airlifted to Bagram, Afghanistan, the location of another U.S. base for surgery. The four soldiers are now in stable condition. No fatalities among coalition forces were reported. Zachary Beecher ’13, who served as a former officer in the 82nd airborne division after graduation, was well-acquainted with Prato through Princeton’s ROTC program. 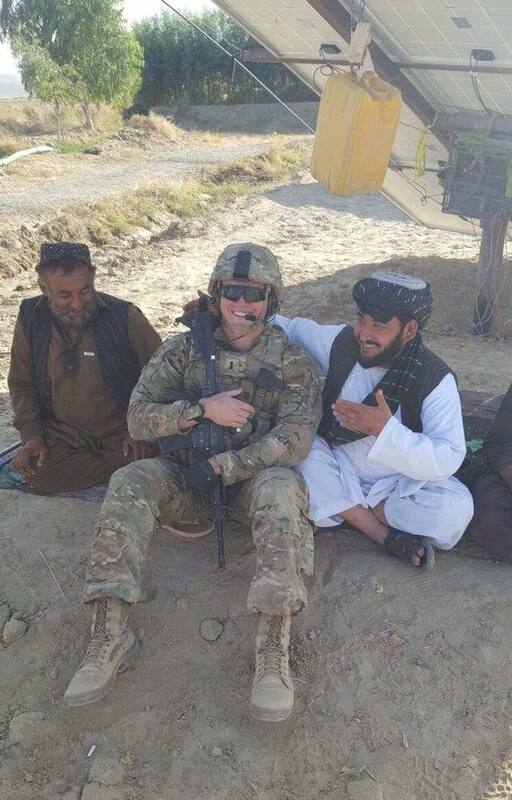 Beecher explained that Prato and others in the Brigade Engineering Batalion were deployed in Kandahar to support the International Security Assistance Force (ISAF), particularly the 82nd airborne division. Prato has served in the US army at Fort Bragg since graduating from Princeton, Beecher said. “He truly is someone who exemplifies Princeton’s motto, ‘in the nation’s service.’ He is an exceptional leader and a contagiously positive person,” Beecher said to The Tab. Prato is currently receiving treatment at Walter Reed’s Surgical Intensive Care Unit located in Bethesda, Maryland. Beecher and officers of the Class of 2015 have encouraged members of the Princeton university community to send letters to Prato. Small care packages or letters wishing him well would be significant and helpful to boost his spirits as he undergoes his recovery, Beecher said. Beecher also created a Facebook group to cheer him on. Prato is also open to visitation, Beecher said. “At Alumni Day 2016, Victor and I had an insightful conversation about our Princeton experiences and his service in the U.S. Army since graduation. I look forward to the next opportunity for great conversation, and I join fellow Tigers in wishing Victor all the best on his recovery in the days and months ahead,” wrote Class Officer Zhan Okuda-Lim ’15 in a social media post encouraging the university community to express its support. Prato majored in mechanical and aerospace engineering and was on the football team in Princeton. This past August, US President Donald Trump pledged to broaden US role in Afghanistan by increasing its troop deployment. In November, Joint Staff Director Lieutenant General Kenneth McKenzie confirmed that the pledge has been realized. The total number of American soldiers in the country has risen to 15,000.